PFW Review | Who Runs The World? Chanel! It was clear that Chanel, under Karl Lagerfeld, will still be the dominator of fashion. I mean, who in the world doesn�t know what Chanel is; at least Chanel No.5. Chanel is literally one of the best shows in town when it comes to a fashion show. 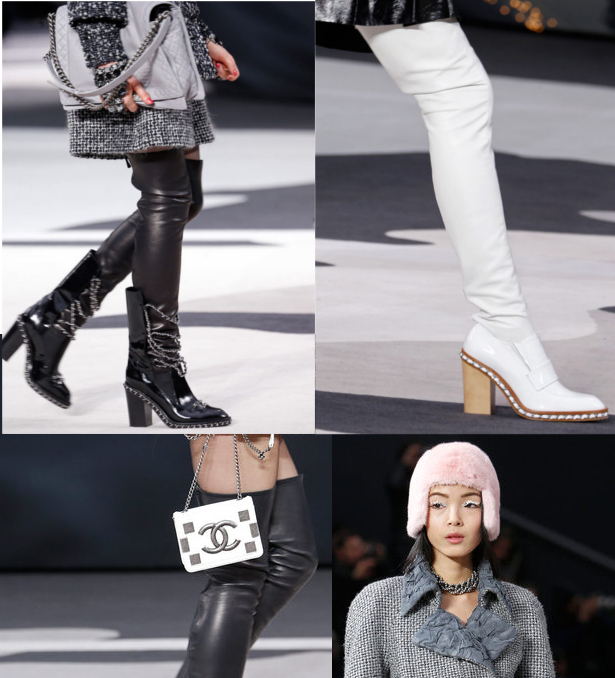 If anything you should be impressed by when viewing a Chanel presentation, it should be its setting � a merry go round, a barn, sea creatures, crystal glaziers, wind turbines, and now���The World. 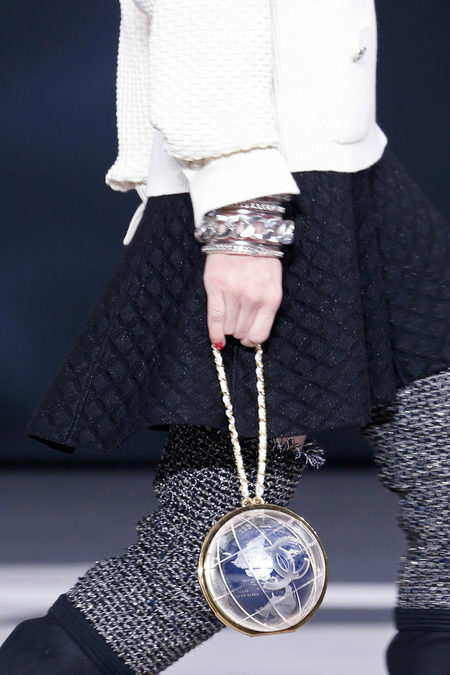 It may seem that after so many years that Karl Lagerfeld has been designing for Chanel it gets boring. In my opinion, designing for Chanel four times a year, you�d think you may run out of ideas; not for Karl. Each collection just gets better. Karl has made Chanel his own world we all want to live in. And for his fall collection it was stated clear � if you want to be with him, you must reach the top of the world. When I judge something, especially a runway show, I have to view a video of the show in order to give my opinion; from what I am able to observe. I am obsessed when it comes to the movement of the garments. The way something moves is a key fundamental part of a designer�s presentation; no movement, no interest. And let�s get to the point. Mr. Lagerfeld scored a huge win here. If you have not seen the show, you must go watch it now (after this). Coats stole my heart in this show. 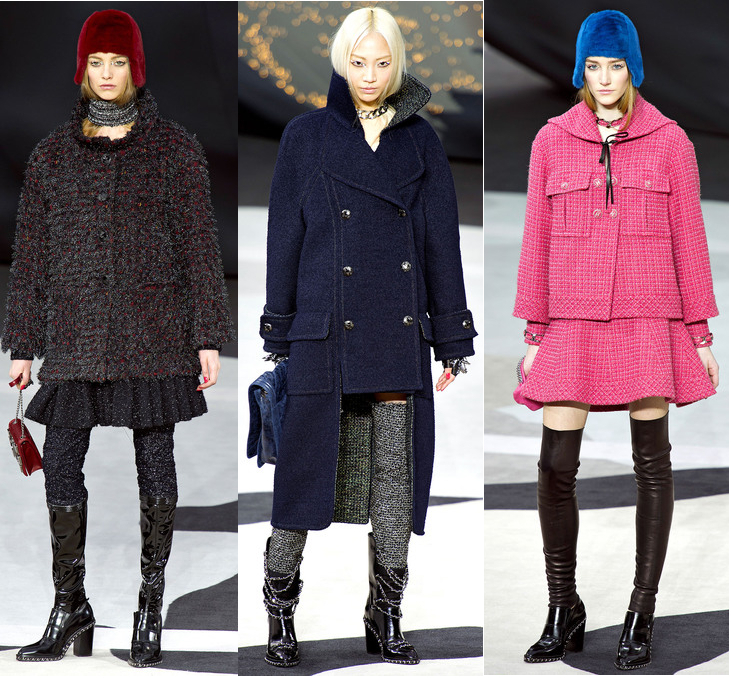 The silhouettes were simply impeccable � strong, energetic, and extremely confident for the Chanel customer. Coats were slightly loose in such a way, they created a swag for the model wearing them; so sick when paired with those chained shoes. When closed, they appeared as if they were a one-piece suit � skirt and suit all in one � which were very deceiving and rewarding. Texture definitely appeared crafted a la Chanel. I wish I could have seen it closer in person. Unzipped skirts. Let�s talk secretly sensual. Another deceiving and mind thoughtful idea ��until you realized there was a second layer hidden underneath. Too bad for those guys who thought there was something occurring under there. Accessories were very pleasing. I loved the idea of those colored fur haircut hats. Shoes, as I stated previously � sick. Handbags were colorful and youthful. Everything was mastered with perfection; no complaints as always. Who wants to be part of the Chanel world?